← Antibacterial Chemicals – Helpful or Harmful? The word “diet” has more than one connotation. It can mean the traditional, established food and drink of a culture, such as the healthy Mediterranean diet. However, most of us think of “diet” in terms of a highly restrictive eating plan designed to shed unwanted pounds. Overly restrictive diets can take the enjoyment out of eating, which should be one of life’s great pleasures. The first step towards healthy weight loss is to lose the “diet” mindset. Yes, you may need to cut back on calories, but substituting healthy food for less healthy food is the way to overall health and a sustained healthy weight. Pleasurable healthy eating may not only help you attain your ideal weight but it may also help you to maintain that weight once you reach your weight loss goal. The concept of mindful eating has its roots in Buddhist teachings where a pleasuring of both the stomach and the mind, or “food consciousness,” is encouraged. “This is anti-diet,” said Dr. Jan Chozen Bays, a pediatrician and meditation teacher in Oregon and the author of “Mindful Eating: A Guide to Rediscovering a Healthy and Joyful Relationship with Food.” “I think the fundamental problem is that we go unconscious when we eat.” Eating slowly and relishing every bite allows you not only to experience food more intensely but to recognize when you have had enough. Psychological factors, hectic lifestyles and the endless parade of new diet fads all contribute to bottomless bingeing and mindless eating. We are accustomed to eating fast and on-the-go, and eating while we commute, work, watch TV or surf the internet. We habitually eat any time of day or night without restrictions. We may think about what we may be hungry for but may not give any thought to which foods our bodies hunger for. To get the best energy from your food and the most joy and fulfillment, ask yourself these four questions – “Am I in a good mood? Is this meal going to be a positive experience? Is the food attractive and appealing? Can I devote my full attention to enjoying myself?” If the answer to all is yes, you are on your way to mindful eating and fueling your body for energy. If the answer is no, postpone eating until your mindset or timing changes. Change the way you think about “fresh.” It’s not just fruits and veggies that should be fresh, everything you eat should be fresh. Eat mostly natural foods as soon as possible after buying them. The longer foods go uneaten, the more nutrients are lost. If possible, shop more frequently and buy just enough for a few days at a time. Instead of a colorful plate, think about an array of tastes and textures. If you are craving something sweet after a healthy meal, consider including more tastes in your meals including something sweet, sour, salty, bitter, and umami. In the centuries old Ayurvedic approach to nutrition, this will ensure all food groups are represented and leave you with a feeling of completeness. When your meal is satisfying, you’ll be much less likely to snack afterwards. If you are craving something not so healthy, wait a few minutes and think about a healthier choice that may give you the same sense of satisfaction. According to Deepak, cravings mean that your body is not satisfied. You can give into that craving and not necessarily with food. When you tune in and listen, it may be that you need to take a break or go out for a short walk. 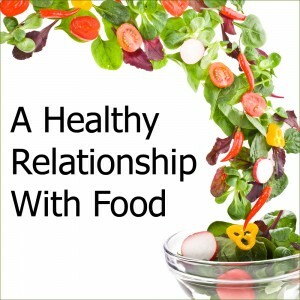 The happier and more fulfilled you are, the less likely you are to use food as a crutch. As opposed to the advice to simply eat less, think of eating light. When you stop thinking of what you can’t eat and think in terms of what you can, you will gravitate towards lighter energizing foods as opposed to foods that make you feel heavy and immobile. Remember, diet tips only work if we take the time to value our relationship with food. It might take only 3 minutes to scarf down that fast food burger, but does that really nourish your body and mind? Re-establish your awareness of hunger and fullness and use those signals to guide eating. Eating takes time, and believing that you are worth taking the time to sit down and enjoy your food is the true definition of mindful eating. This entry was posted in Home and tagged healthy food. Bookmark the permalink.